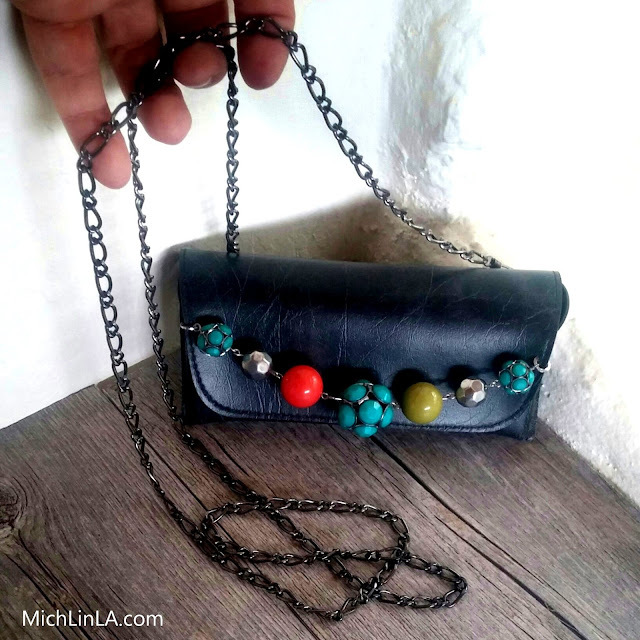 Look - a teeny tiny cross-body purse! I've never been accused of being trendy (trust me on this). But little bitty mini bags - one of my absolute favorite accessories - are suddenly madly fashionable, showing up on runways and stores in every style you could dream up. Here is a super quick upcycled version - make it in about ten minutes and wear it out on the town. 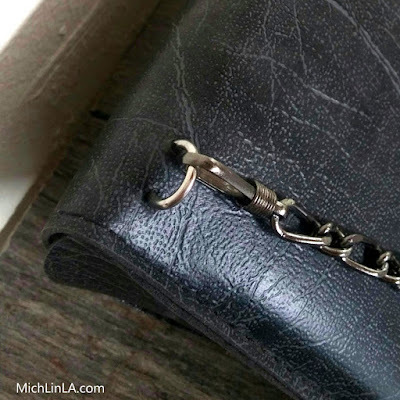 The upcycled element: an old eyeglass case. I always have a multitude of these, as my husband gets new glasses every year. (Some tips on the right types of cases to use for this project in a bit.) Let's get to the DIY! Close the jump rings securely. That's it for the front! To add the strap in back, you will attach two more big jump rings, but using a slightly different method. When done, the back will look nice and neat. Annnnd...you are done, baby! Fun and fast, eh? 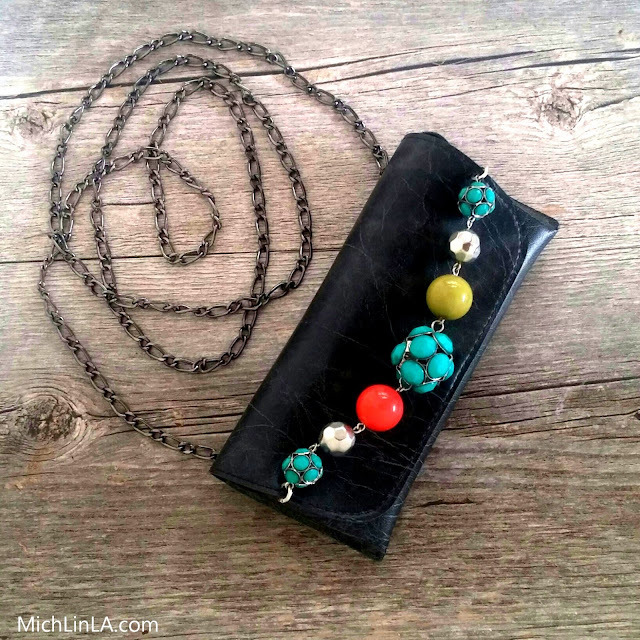 Of course, the bead chain ornament is just the simplest of ways to decorate your purse. The eyeglass case should be considered a blank slate, to be embellished in a thousand ways! Here are just a couple of other examples. This one sports a thicker leather strap (super comfy to wear). Instead of a bead chain, I embellished with a charm bracelet I made ages ago but never wear. 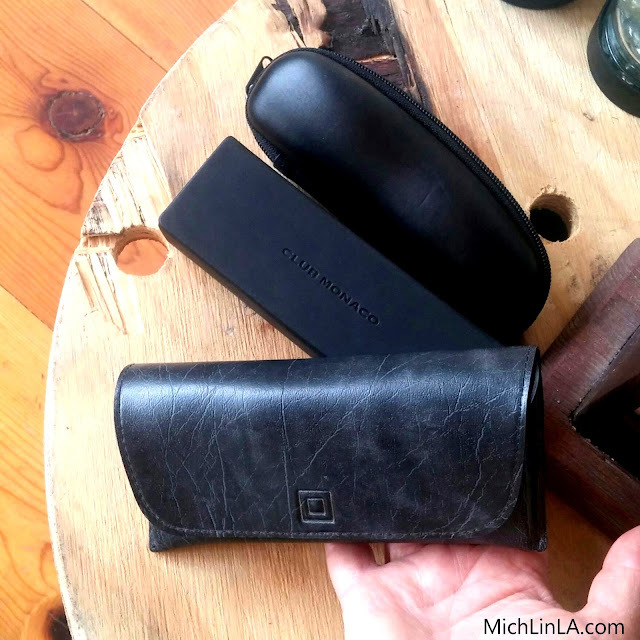 * Choose an eyeglass case with solid sides (so your stuff won't fall out). There's room for a credit card folder, keys and lip gloss. What more do you need? 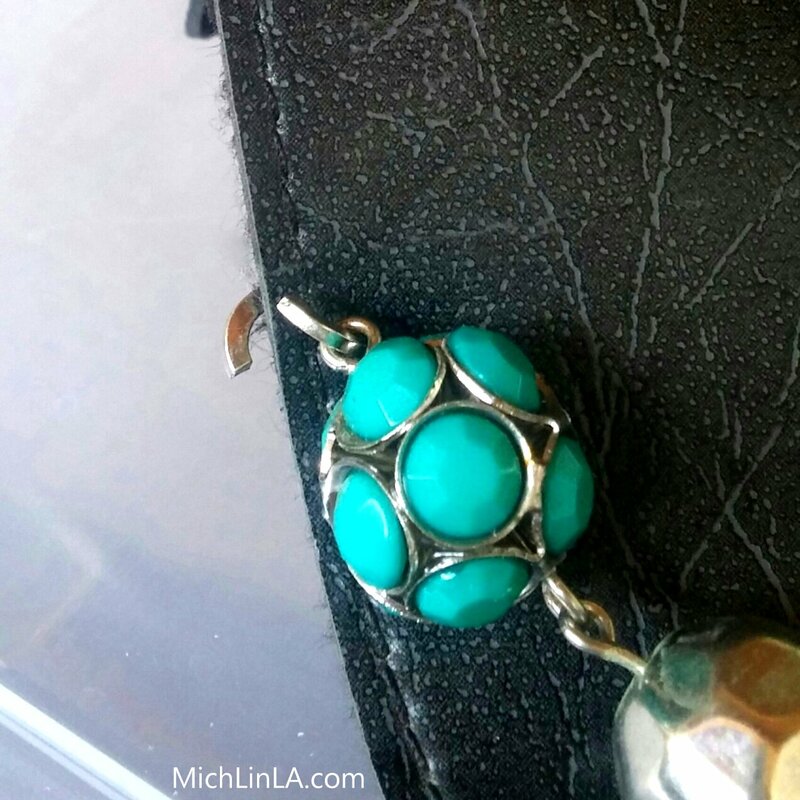 * Avoid magnetic clasp cases - often they aren't really secure enough for a cross-body bag that will be swinging around a bit. Best closures: a zipper or strong velcro. And hey, you can add a velcro closure to any case, so that's another option. 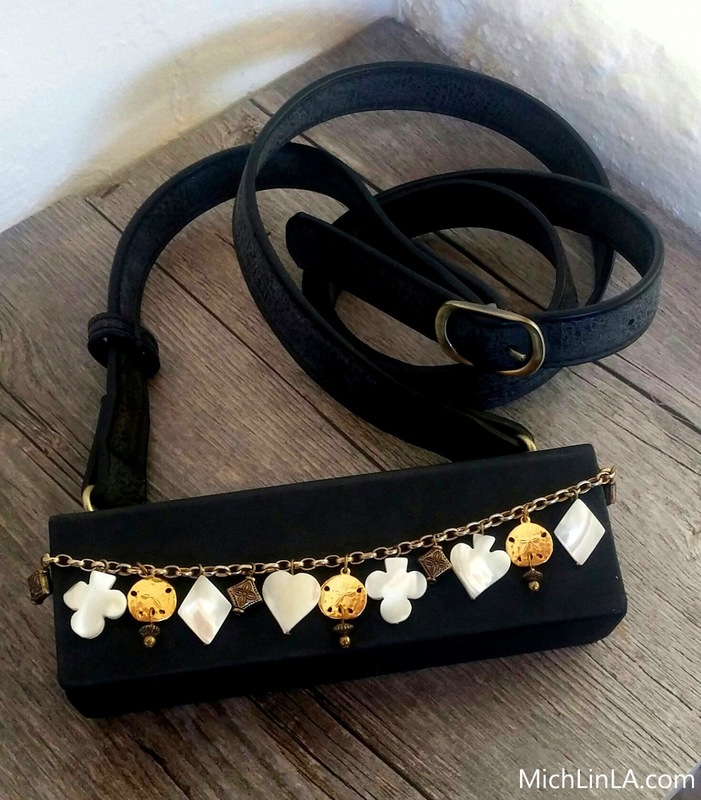 * Find cute purse straps at thrift shops, yard sales, even dollar stores. I sometimes buy an ugly, ugly purse just for the strap. Alternatively, borrow a removable strap from a bag you already own. Okay, that's my little idea. It could be a fun one to make with tweens or teens, don't you think? Hope some of you decide to give it a try. Excellent question, D! I think if you have a zippered case, you are right, that would be stronger. But if it's velcro like mine, you wouldn't want any pull on the flap, the velcro might separate - so best to have your strap attached in back. thanks for writing! Very cute and inspiring up-cycle! Thanks a bunch, Momina! Glad you checked it out! Brilliant Mich, now I'll have to hold on to all those eyeglass cases too, lol. I don't wear glasses but three of my kids do, so lots of cases to be turned into purses! Thanks for sharing on craft schooling Sunday! That is a LOT of cases! 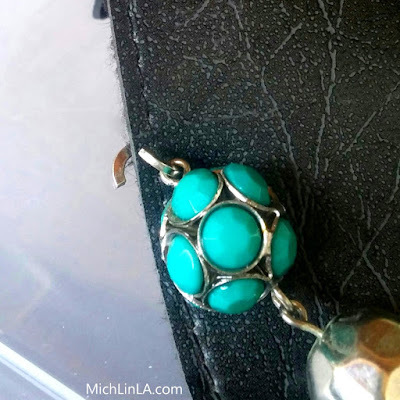 Thanks Sara, I bet you will find some super creative and different way to embellish yours if you try this! I think you're on to something here! What a fun idea and soooo fashionable too. Wow, This is one cute idea. We all have spare eyeglasses cases & covers. 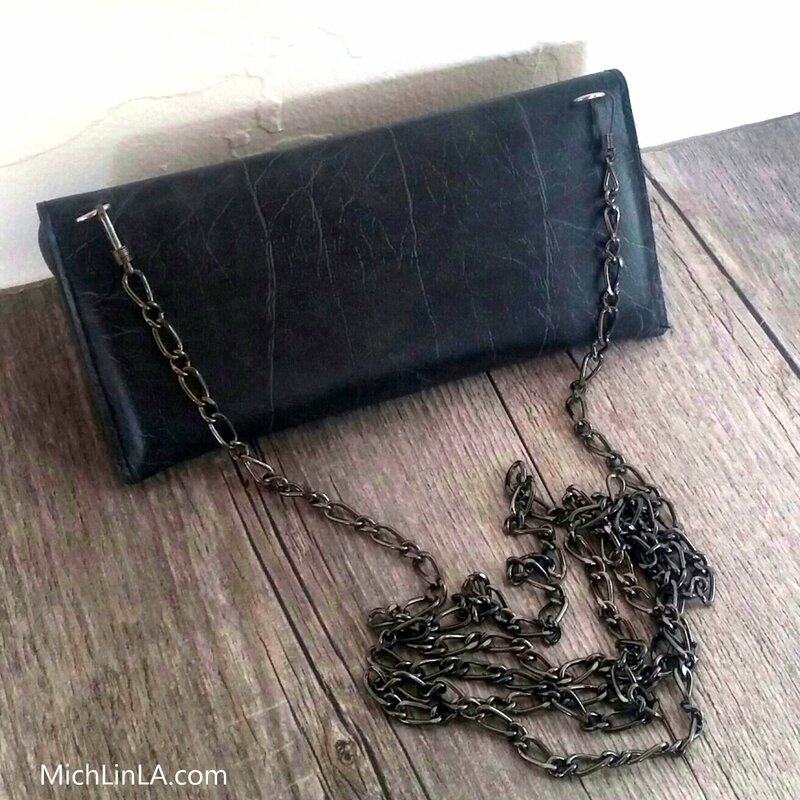 This is really smart way to transform it into a clutch! Well done Mich :) Thanks for sharing. 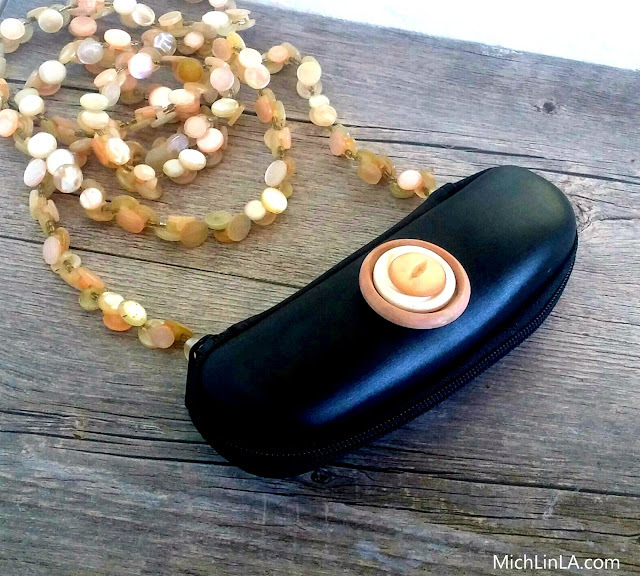 Oh my goodness Mich - what an awesome idea to use up those old glasses cases!!! Your new purse looks so pretty!! Big enough to carry just the necessary. The mother of pearl strap looks gorgeous! I absolutely LOVE your resourcefulness! Waste not.... I especially love your ear cuffs made with pieces of fly swatter! LOL! Who would've thought! I'm just an anonymous looker...for now. But love your ideas! What a brilliant idea for recycle/upcycle! I've been snarfing up fancy eyeglass cases for a while now from our local thrift shop. This is a beautiful springboard from which to jump. I'm thinking maybe making some with wrist straps instead. Thanks for your inspiration! Thank you, Bonnie! So happy you were drawn to this one! I am always seeing them in thrift shops and it seems like they want a good home. I hope you make some cute version.